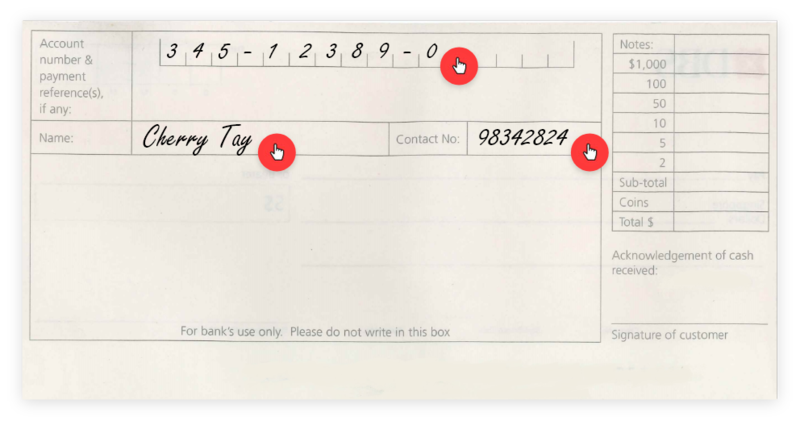 Provide your full name as per Bank's records, your bank account number and contact number at the back of the cheque and ensure the issuer's signature is present on the front of the cheque before depositing it at our Quick Cheque Facilities. Cheques are valid for 6 months from date of issuance, unless otherwise stated on cheque. 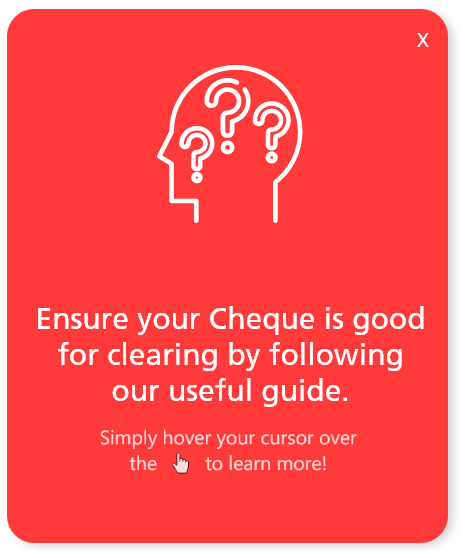 Locate a Quick Cheque Deposit Box near you! 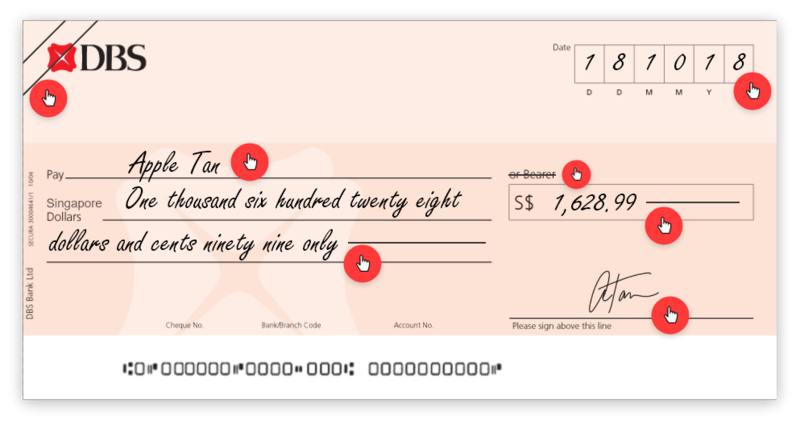 Minimum payment amount is calculated at 3% of your statement balance (or S$50, whichever is greater) plus any amount that is carried forward from the previous bill. * Points that you have earned from more recent transactions (ie. unposted transactions) may not be reflected yet. Click here to find out how you may redeem your DBS points. ** Rebates that you have earned from more recent transactions (ie. unposted transactions) may not be reflected yet. *** Do note that any previously earned rebates returned due to merchant refund or transaction(s) converted into installment payment plans will be reflected here as well..